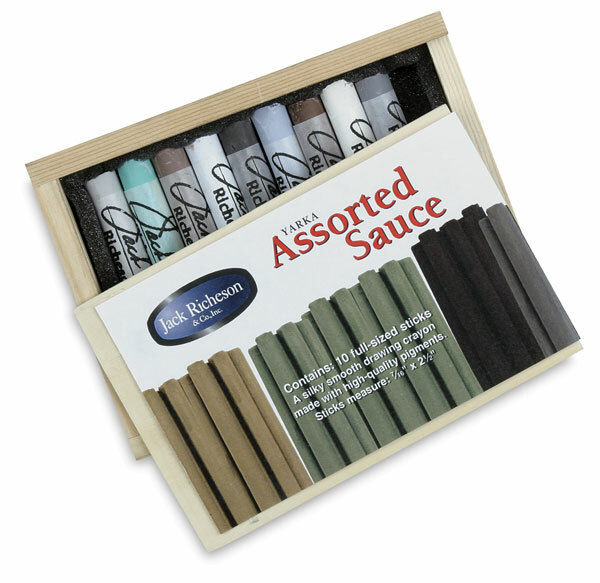 Assorted Sauce is a cross between a soft pastel and a Conté crayon. It combines high-quality pigment with Chasov Yar clay and industrial carbon for a velvety smooth drawing crayon. The set of ten colors includes Black, Gray, Light Gray, Brown, Gray-Green, Gray-Azure, Warm Gray, Ochre, Bistre, and White. It's packaged in a varnished wooden box.